Tim Maltin, author of Titanic books and films. 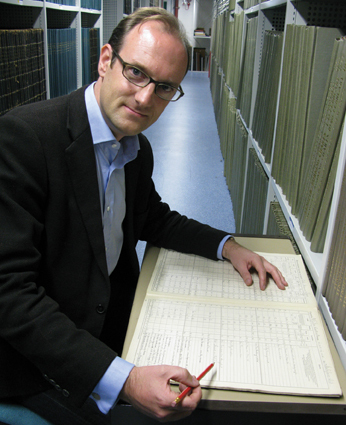 Tim Maltin is a British author, historian and TV presenter. He is also one of the world’s leading experts on the Titanic and the author of three books on the subject, including 101 Things You Thought You Knew About The Titanic…But Didn’t!, Titanic: First Accounts, both published by Penguin, and his latest book Titanic: A Very Deceiving Night, which is the subject of his Smithsonian Channel documentary Titanic’s Final Mystery and National Geographic film, Titanic: Case Closed. Tim is also a TV presenter and broadcaster, writing and presenting the above documentaries, as well as the landmark BBC Radio 2 live broadcast, Titanic, Minute by Minute, which he co-wrote and presented with Jeremy Vine, for Titanic’s centenary. This won a Bronze Award at the Sony Radio Awards, and the Grand Award and a Gold Award at the New York Radio Awards. Tim works in London and lives in Wiltshire with his wife and two children. For recent views from Tim on the atmospheric conditions of the night of the tragedy, do visit his contributions to the Encylopedia Titanica discussion here. A thoroughly cracking analysis of Titanic’s fate due to atmospheric conditions! I just saw the Nat’l Geo documentary highlighting this observation that figures into the famous disaster. This is entirely new ground never covered by anything I’ve ever read. As much as I have enjoyed the various perspectives of why and how she sank that night, why hadn’t this angle been brought front and center before? Seems most crucial a piece of the puzzle. Perhaps if a film is again made to portray the horrors of that night, they could factor your findings into the story in a large way, as well as any new evidence revealed in the past decade. I am still amazed at how much new insight I gained from an event I felt I knew enough about. I say old chap, well done! A new and scientifically (rather than emotionally) -based take on the events leading to the sinking of The Titanic. Thought-provoking and illuminating. The stars quite literally “lined up” against the fate of the ship and its passengers. A true tale of man against nature ..along a similar line as Jack London’s fictional “To Build A Fire”, but with a much broader scale of catastrophe. Points out the fact that Nature is not only indifferent to the plight of Man, but can seem even hostile. Thoroughly researched and well presented. Good job, Mr. Maltin. I just watched the documentary on Titanic’s Final Mystery and I was so awestruck that I felt compelled to drop this quick note. I was absolutely mesmorized as I watched the film and the efforts put forth by yourself to uncover the logical truth behind the Titanic disaster. I just wanted to say thank you for providing one of most interesting documentaries I have ever seen. I continue to marvel at your particularly insightful solution to the problems facing the Titanic that deadly evening. I believe you have solved the mystery of how the ship came to it’s tragic end. There is merely one point on which I will choose to disagree with you and that is the matter of Captain Lord. For all the discussion of what sort of ship Lord may have seen or not seen, for all the dismissing of seeing or not seeing the signal lamps back and forth, the simple truth remains: The California was equipped with the Marconi device and an operator. He went to bed, as did Lord. They should have continued on using the telegraph to attempt to find out what was happening. They could see and admitted they saw, the signal rockets. No matter what color they claimed to see, the fact there was a ship and the fact that rockets were going off and PARTICULARLY if Captain Lord truly did not believe he was seeing Titanic and thus could not presume the rockets to be some kind of “party event”, makes it clear he was AT FAULT for not investigating further. He was derelict of duty to NOT wake his Marconi operator and to resist being awakened himself. There just is no using the distortion theory to dismiss Lord’s criminal neglect. No matter what color the rockets, no matter what shape the ship, he had the means to investigate and instead chose a good nights’ sleep and let his Marconi operator get one too. I still believe Lord was not only negligent but was desperately fearful of having to negotiate the ice field at night and chose to ignore the whole thing. He simply cannot be excused because of distortions to the view ahead. They changed what he might be seeing but WHATEVER he was seeing required his further investigation. Lord’s neglect resulted in many more deaths and whitewashing him years later is a mere travesty of justice done long before your own investigative efforts explained so much. Still, it does not justify Lord’s conduct. Dan, because Titanic appeared ‘higher up’, but not bigger, she appeared to Californian to be a 400ft ship five miles away, instead of an 800ft ship 10 miles away. Tragically, because Californian knew Titanic to be the only ship within range which had radio, this led Californian to assume that the ship they were looking at did not have radio, because it appeared not to be the Titanic. Captain Lord of the Californian should have gone to the aid of the nearby ship that night, but had it not been for abnormal refraction, he would have gone, because he would gave realised it was the Titanic in distress, and not just some smaller vessel which apparently did not answer his Morse lamp enquiries, and which he judged it was too dangerous to go to the aid of, at least until daylight. I once wrote a Sherlock Holmes pastiche that, unfortunately, read a bit too much like the sort of government memos I wrote by day, but which, I must say, had a wonderful plot (IF another, better writer can be found to actually write it, lol!). In any case I used Lord as an accomplice of Moriarty in a time travel sequence that turned out to be critical to the plot (there being something on the Titanic that Moriarty wanted destroyed). In any case, my thought has always been that, regardless of what ship they were seeing, the entire situation demanded more than Lord or the Californian gave to it. This opinion about them does NOTHING to reduce the admiration and respect I have for YOUR FINDINGS, which are brilliant and which explain so very much, so well. Best wishes, Dan. I completely agree with you. Lord SHOULD have gone…but had it not been for abnormal refraction, he WOULD have gone. I just saw your masterful documentary Titanic’s Final Mystery. I want to echo the comments here about what a wonderful thorough scientific job you did in your investigation. I don’t disagree with anything you said. However, there is one glaring omission in your report. It is what Mr. Hart referred to in his comment. The Titanic fired off numerous distress rockets. These were seen on the Californian. That is irrefutable. They claim there was confusion as to what the color of the rockets meant (which has always struck me as rationalization for doing nothing, but that’s just me). But you will admit will you not that when a ship sends up rockets in the middle of an ice field, the very ice field which has stopped the Californian dead, no rational person on Earth would conclude that the ship is having a party? It’s in distress!! At the very least it’s an unusual occurrence that must be investigated. The fact that Captain Lord may have thought it was “just some smaller vessel” does not excuse his refusal to provide assistance. Too dangerous?! Too dangerous to aid your fellow man?! Thanks a lot! Lord could have come dead slow and still gotten there within an hour. The Carpathia came at full speed. THAT is why Lord is justly condemned for doing nothing. All of your analysis did not change any of this, which is why it is so disappointing that you didn’t mention it. Congrats on great research re air/sea temperature interaction. As a retired marine meteorologist, am interested in your research data sets re air temps, sea temps, delineation of Labrador/Gulfstream interface pos’n’s Lat/Long & wave hts. with the senior crew members being hand picked and were held in high esteem by the maritime society. Your endeavour to properly research the topic from logical and original angles and present an explanation which not not only fully justified in every way, but easily dispels all other accusations the Titanic’s tragedy. I find it absolutely staggering that you have inadvertently deduced the Titanic’s fate single handed, whilst for 100 years whole inquiries have never came close to presenting a case so well justified as your explanation of extremely rare discrete factors in the climate propelling the Titanic’s demise. I cannot stress enough the importance of this work and in an effort help notify your impeccable work, I have written to the titanic museum in belfast asking them to look into your argument and build a section in one of their exhibitions as to promote your take on the reason the titanic sank. For everyones sake it should be done as this explanation is as flawless as the Titanic herself. Thanks Chris, I really appreciate that and would love to give a lecture on my findings at Titanic Belfast. Just saw the Smithsonian program on your research and thoughts on Titanic’s sinking. I find your findings so profound, thankyou! I vividly remember your documentary shown on the 100th anniversary of the tragedy in 2012, but only now just discovered your own personal website. Firstly, I congratulate you on what was a truly engaging and genuinely intriguing piece of investigative journalism, and it’s directly because of your documentary, I eventually started my own interest in the so-called ‘Californian incident’, and would like to throw a few ideas and opinions your way, if I may. The documentary’s repeated assertion that Titanic and Californian were but ten miles apart is not borne out by evidence. We know precisely where Californian was between 10:21 pm April 14th and 6:00 am April 15th because she was stopped by ice and had radioed her position to all surrounding vessels. And we know where Titanic foundered because of the position of the wreck (the bow in particular)… the distance between the two is approximately 19 miles. Cold water mirage or not, the distance between the two vessels rules out them being in the visible horizon line of each other. Had the ship seen by Californian that night off it’s starboard bow been Titanic, then conversely, Californian herself would have been visible to Titanic… but both Titanic’s lookouts at that time – Frederick Fleet and Reginald Lee – testified they saw NO ships whatsoever in their vicinity, before or after the collision until they were relieved at 12:23 am. The unidentified ship seen by passengers and crew of Titanic that night – from around 12:30 am – was moving in their direction, then stopped, turned around, and sailed away into the distance (discerned by the testimony of witneses on Titanic of BOTH sidelights and stern light of the unidentified vessel being visible prior to it steaming away from view). This obviously could not have been Californian because she was stationary all night. Lastly, Californian’s Second Officer Herbert Stone and Apprentice James Gibson – both on the bridge during that watch – saw rockets and undoubtedly they were from Titanic, but they were not coming from the ship nearest Californian, and we know this because of the seemingly low altitude the rockets were reaching before exploding (according to Stone, only going as far as half the masthead), whereas had Titanic been the vessel the Californian was watching, the rockets would clearly have seen to have been several hundred feet in the air upon detonation, in addition to the fact that neither Stone nor Gibson heard any sounds remotely like rocket detonations (nor any sounds at all), something they most certainly would have heard had they been anywhere close to a distance of ten miles between the two vessels… cold water mirages distort visual sights not audio sounds. Of your assertion regarding unusually strong atmospheric conditions in the Titanic’s immediate vicinity at the time, that likely aided to not indentifying the iceberg before it was too late, I have absolutely no doubt whatsoever, but I don’t believe that had anything to do with the Californian’s part in the unfolding tragedy, the two ships were separated by a distance of such that refraction simply played no part in; in short, they were both well out of the visible horizon line of each other, and thus were not susceptible to observing each other’s lights, distorted or otherwise… my own humble, fallible, and entirely subjective opinion, of course. Again, my heartfelt thanks on an otherwise splendid programme and one which directly led to my own individual investigation and continued passionate interest of both an appalling tragedy but also a terrible miscarriage of justice on the part of Captain Lord and his good name and reputation. Many thanks indeed for your kind note. Firstly, I agree with you that Lord was unfairly blamed for not going to Titanic’s aid. However, it is my conclusion that he chose not to go, believing Titanic to be a small ship 4-5 miles away, which did not reply to his Morse lamp signals (instead of the largest ship in the world 10 miles away). His choice – a reasonable one – was not to risk the lives of his own men until daylight, when any rescue could be performed safely and effectively. Had he realised it was Titanic, sinking on her maiden voyage, of course he would have gone immediately to her aid – the huge risk to his own ship being worth it. He regretted that decision for the rest of his life, but publicly denied it was Titanic which he saw that night. Re distance, the reason Titanic did not see Californian at the time of her collision is that Californian was at that time heading towards the Northward, away from Titanic, thus shutting in her mainmast light. As she swung around in the gentle current and light airs that night, she gradually bore towards southward – towards Titanic – and thus opened out her navigation lights to Titanic. Titanic’s rockets appeared low to Californian, not because they were not from the nearby ship they could see, but because that were too faint to see at that range at their full height: it was only when they were lower (nearer the sea) that they were magnified sufficiently by the cold air in the thermal inversion, thus becoming visible to Californian – but *appearing* low. I recently watched the documentary that you were featured in regarding the weather events that may have played into the Titanic’s sinking. I believe you’ve found the proverbial smoking gun. This afternoon I was watching a news story on the CBS News website and clicked on a link to a photo collection taken from the Carpathia as they rescued Titanic survivors. It may, in fact be a photograph of the weather phenomena that you suspect lead to the Titanic disaster. Here is the link. Bravo on what I think is the solving of the case! Well done! Your refraction theory can be used in other instances too, but it fits perfectly with what happened to the Titanic! Just finished watching Titanic’s Final Mystery, for the third time, and I must thank you for such a compelling and fascinating work. It’s evident that you were on a mission to solve the mystery, and the passion for your work, was and is frankly a gift to us all and came through every minute of the documentary. It was a story well told, one that could have very easily gotten bogged down with the science. Instead it captured my attention and imagination for the entire two hours! The world needs more people like you… you’re an inspiration for sure. Can you dispel the Titanic/Olympic swap? Even if just privately. Saw the video last weekend, well done! That being the stoppage of the California due to the 30 mile long, 3 mile wide (and +300 foot high) wall of floating ice. Could this have also been a factor? Could this have partially blocked the starry background of the horizon thus impairing the view of the Titanic’s lookouts? Greetings, I like your theory about the cold weather mirage as a contributing factor for the Titanic sinking. However, in the Simthsonian documentary Titanic’s Final Mystery there was never any mention of the distress rockets fired from the sinking ship. Certainly the Californian should have at least responded to these flares in some regard whether it be by motoring toward the scene or turning their wirless back on. Maybe some of your books elude to this better than the movie but certainly captain Lord should be blamed to some degree for not being more inquisitive about the rockets. Again, great job with your theory, I just would’ve like to see the movie addresss theories as to why no one reponded to the distress rockets. Like many others I’m impressed if not astounded by your recent documentary – indeed it’s the most major revelation about the whole Titanic saga since err… probably the finding of the wreck itself! I’ve been a lifelong amateur Titanic fan – indeed I gave a public talk on the disaster in the seventies aged only twelve! But please tell me if you’re planning on publishing your findings as a book, rather than just an ebook, as the latter doesn’t look anywhere near as good on my bookcase amongst all my other Titanic related books…! Wow, really really nice job on discovering the truth about Tiranics mysteries! Excellent work! You should be proud! Thank you for sharing this amazing information. Hi, I have RMS TITANIC Passenger & Crew List. Would you be interested in it? I wanted to ask you, is there any way for my family and I to go to the Titanic as tourists? I am hitting a brick wall, family rumour has it that a relative of mine was a crew member, was rescued from the Titanic, went to Newfoundland, returned to Oxford and bought a garage. He then appeared many years later and his mother nearly had a heart attack. Despite the wealth of ‘information’ I can’t find his name, perchance you have come across this character? Was Titanic switched with her sister ship Olympic? Dear Tim Maltin, My name is Nathan Cooper, from Mississippi; I just had to say I just finished your documentary of the Titanic Diaster and you’re work was astounding! The way your pieced together the testimonies and the cold air refractions was incredible. I’m very pleased and couldn’t be more enthused. I do have a few questions though if you could answer for me I’d be very much greatful. Enjoyed the documentary about the Titanic, but I am left with one question: What about the distress flares that were allegedly launched from the Titanic? Surely they could have been seen by the California and possibly other ships as well. Are the flares a myth, or is it possible that the atmosphereics caused them to be invisible? Just finished watching Titanic’s Final Mystery and had to tell you how much I thoroughly enjoyed it. One of the finest documentaries I’ve seen! Your focus on the scientific facts in order to cut through myth and conjecture was inspiring. It’s amazing that all data needed to solve this 100-year old mystery has been around sitting in archives for all this time just waiting for the right mind to deduce its secrets. Fantastic work! Thank you for your dedication and for sharing your superb work with the world. I’m looking forward to reading your books next! I just finished watching the documentary “Titanic’s Final Mystery” on the Smithsonian Channel in the United States. I was enthralled, not only by the scope of your research but the ground breaking analysis of the events of that night. I have but one question which was not covered in the documentary; what of the rockets that Titanic was supposed to have fired as a signal to the Californian? Is this just a bit of “conspiracy theory” which is so popular here in America or is this based in fact? I am a history buff, but to now I have submerged myself in American history, specifically the American Civil War, however I believe it is time to branch out and I believe I will start with Titanic, beginning with ordering your book. Thank you for your wonderful work and I can’t wait to read your book providing it is available as yet. I await your reply at your convenience. Having watched your documentary again this week, i must commened you on your fascinating analyis and research. As a history buff, its historians like yourself that make me love reading and learning more about history. Look forward to more of your works in the future. Also as a Californian, great to see the Mojave Desert in your documentary! Mr. Maltin, I would love to meet you and hear all about your theories and all about the research you have done on Titanic. I’ve done much research myself since I was first in middle school and now I am senior and still have billions of questions. I have yet to meet another person with the same passion about learning all about Titanic and I just heard about you.